'We Didn't Wanna Be Anybody Else': A Tribe Called Quest Reflects On Its Debut People's Instinctive Travels and the Paths of Rhythm is 25 this year. Ahead of their Fallon performance, Phife Dawg and Ali Shaheed Muhammad discuss the group's game-changing first album. 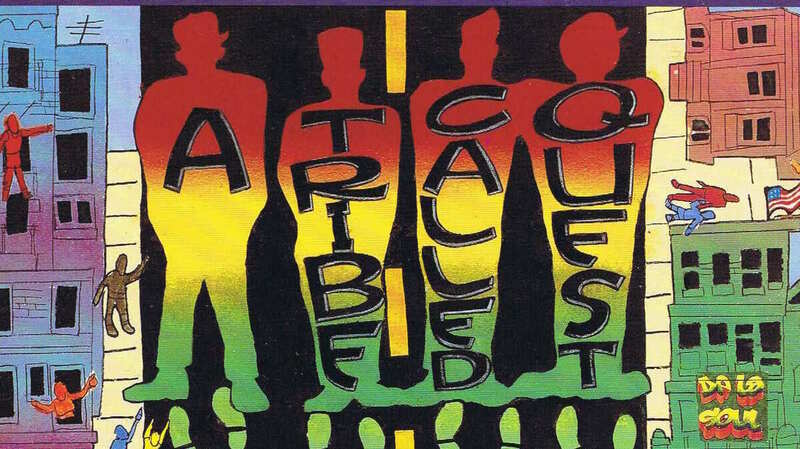 Twenty-five years ago, the first album by A Tribe Called Quest hit record stores — and as soon as it dropped, it stood out. Even the title, People's Instinctive Travels and the Paths of Rhythm, felt like an iconoclast's mission statement. It was the short life's work of four guys from Queens who got together in high school: Q-Tip, Phife Dawg, Ali Shaheed Muhammad and Jarobi White. Their socially conscious lyrics and Afrocentric visual style were in line with contemporaries like Public Enemy, but the vibe was different — loose, fun, with head-nodding beats pulled from sources far and wide. "Hip-hop, at that point in time, was a lot of James Brown sampled music," says Muhammad, the group's DJ (and an NPR podcast host since 2013). "We wanted the sound to be a journey, and we brought forth a lot of melodic-based music — sort of that more poetic, but intellectual and fun aspect of creating music." "Back then, biting was forbidden. Nowadays, it's pretty popular: MC So-and-So has a line that he originated, another MC comes along and takes it," adds Phife Dawg. "We pretty much were always into being ourselves. We didn't wanna be anybody else." Ahead of their Friday-night appearance of Late Night with Jimmy Fallon, Phife and Muhammad joined NPR's Kelly McEvers to talk about a new deluxe reissue of People's Instinctive Travels with remixes by J. Cole, Cee-Lo Green and Pharrell. Hear more of their conversation, including the one thing Phife wishes he could change about the album, at the audio link.